circle hole punch (I got mine a few years ago and use it all the time (most recently, for my calendar here and paint chip mobile here). If you have an automated cutting machine you can use that. Or, If you're really ambitious you can skip the hole punch and cut out leaf shapes by hand! Trim the base of the branch down using wire cutters. This is the hardest part of the entire project, and my husband did it in about three minutes. 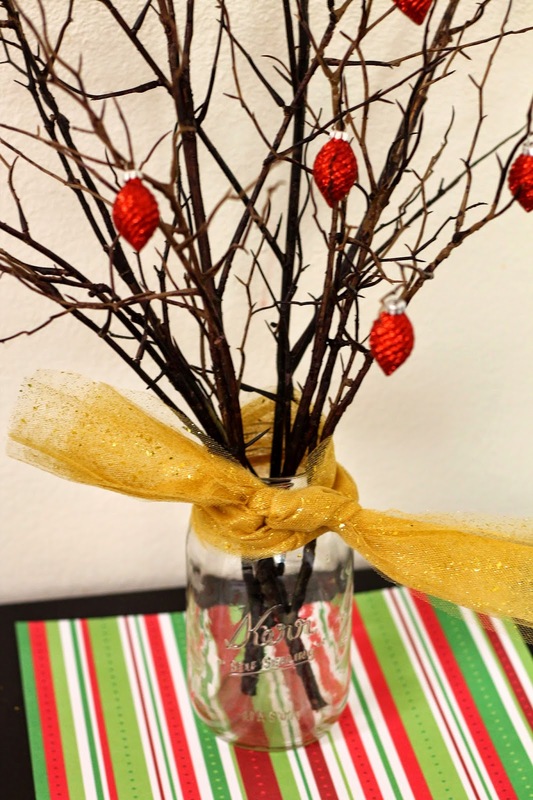 Place the branches in the mason jar. Tie ribbon around the rim of the mason jar. Write one thing you're grateful for on each paper and hang it on the tree! 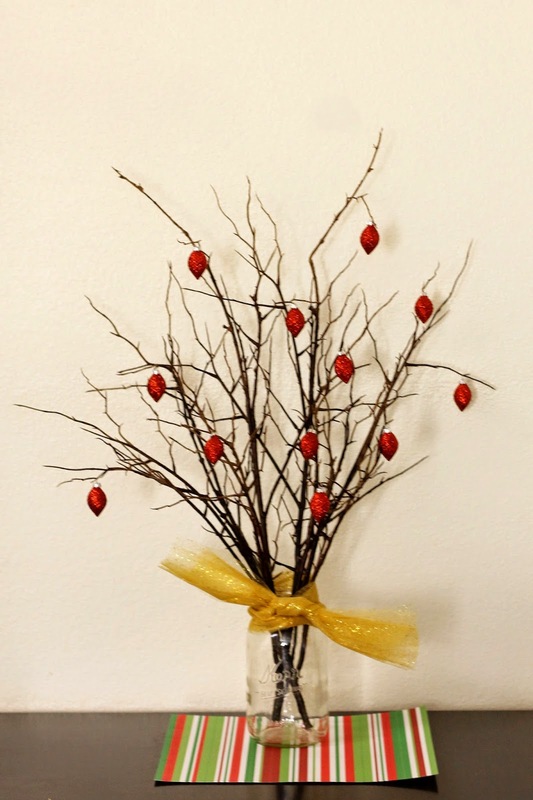 And now for a bonus - here are some ideas for turning the tree into a decoration for all seasons. You can always cut different themed scrapbook paper out (for Christmas you could do a service tree, for summer you could do a summer activities bucket list, etc.). 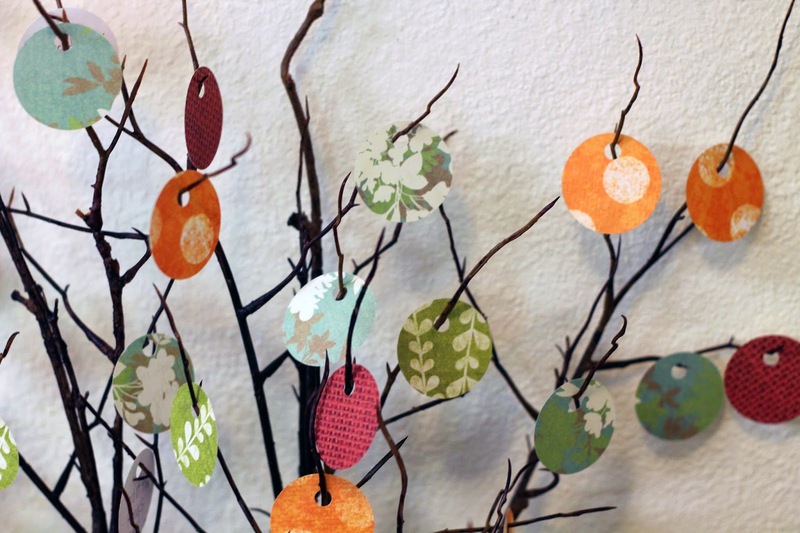 Or, if you get sick of paper on the tree, here are some cheap alternatives. Although I love the service tree idea, I decided to decorate my tree with cheap dollar store ornaments. You could also add a homemade popcorn garland for a non-evergreen Christmas tree! 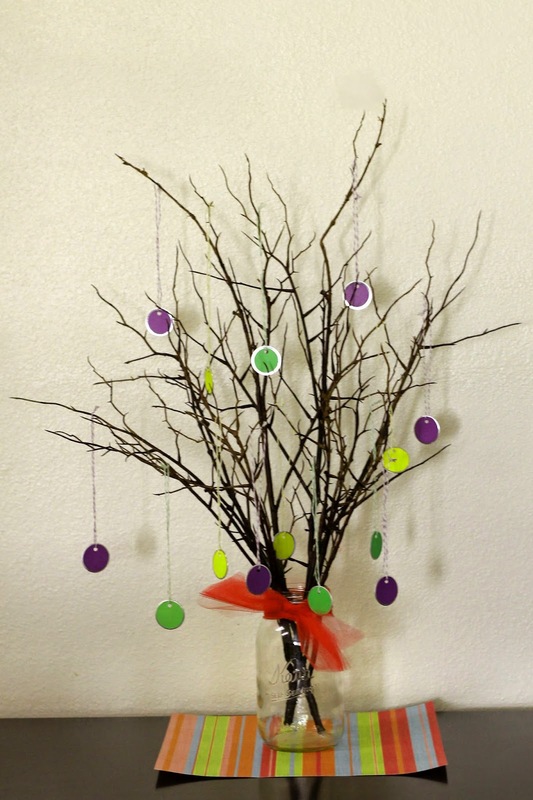 This tree would be a perfect Easter decoration, with the spring colors and fun feel. 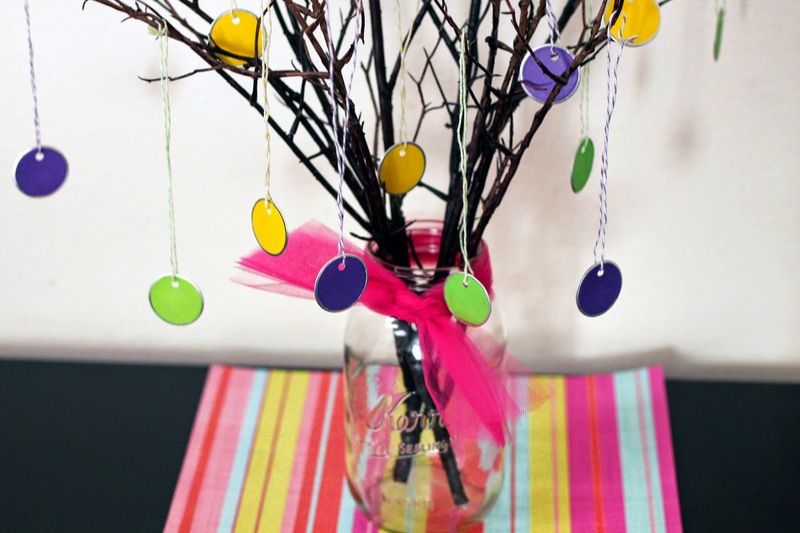 I used scrapbook paper, dollar store party favors, and pink tulle to spring-ify my tree. I love the summer bucket list idea. 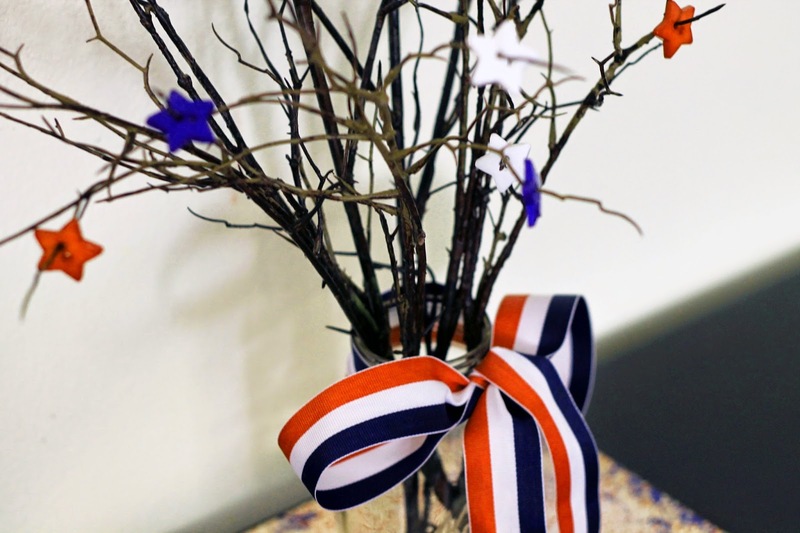 But if you don't want to do that, you can use buttons to decorate for the 4th of July! These buttons had a large enough hole that I could just stick it straight on the branch, but if it was smaller I would have had to use some thread to tie them on. What would you use to decorate the tree? Leave me a comment or tweet me your suggestions and I'll be sure to add them! What a great idea for teaching children gratitude. I would love to do this with my daughter when she's a little older. I totally love this (so much so I bookmarked it and shared it with my Twitter followers!)! Thank you for the inspiration. I will definitely make this with my family. Love this! 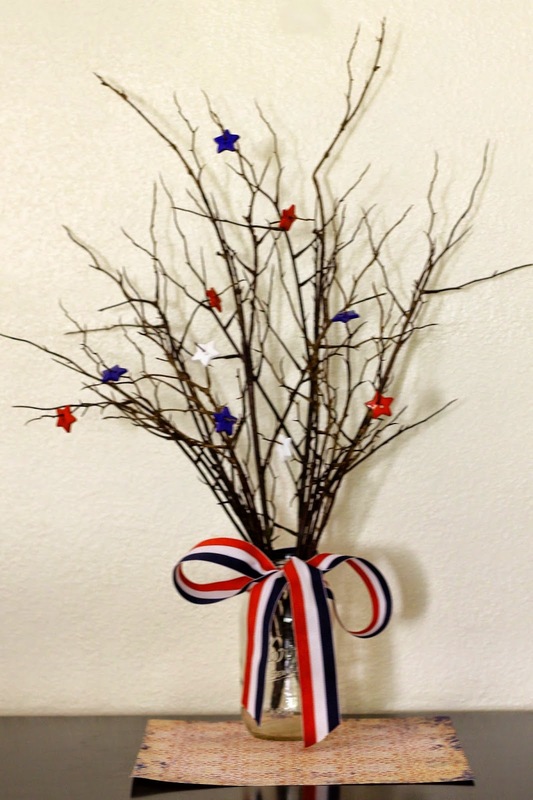 In the spring I am going to get the kids to help me gather branches so we can make one! oh i love this! very pretty and so meaningful! This is awesome, and it looks easy: double win! This is so cute! I love how simple it seems. That is such a cute idea! This might actually be something I could do! This is really pretty and would look great in our apartment! Thanks for sharing!! Very nice, love how pretty it is how easily you can transfer it into every season and it still keeps its charm. Aw so cute! I definitely love the winter one! What a great idea! I would love to try this! And maybe one with white birch branches - that might be a neat variation! This is lovely! And would be so great/easy to do with kids, as well. Thanks for sharing! Love this idea! So great to get my littles involved as well! 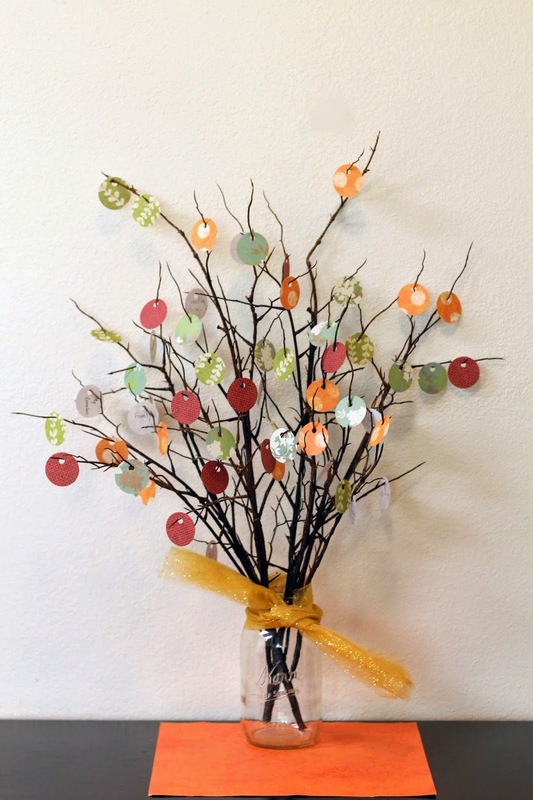 We're going to make a Thankful Tree this year and this is a great way of extending the project throughout the year. This is such a cool thought! Love that this is so thoughtful and meaningful. I am definitely interested in copying this. What a great idea! I think all of us should do something like this, it makes the grafuness even more visible. This is a great idea. I love it and how you can change it for every season. I absolutely love this, and how versatile it is for all seasons! :) What a great idea! I love this. What a great idea. I just so happen to have a mason jar from an event. I NEVER have a mason jar. I'll have to give this a try. We did a Thankful jar, but I love that the tree can be changed for each season or holiday.